Samsung is a major manufacturer of electronic components for clients such as Apple, Sony, HTC, and Nokia. It is also the world’s largest manufacturer of mobile devices and happens to be the world’s largest memory chip manufacturer. In July 2017, Samsung Electronics overtook Intel as the largest semiconductor chip maker in the world. Samsung is the leader in the manufacturing industry. Their innovative infrastructures and production technologies, along with their years of experience in advanced manufacturing processes places them at the top. 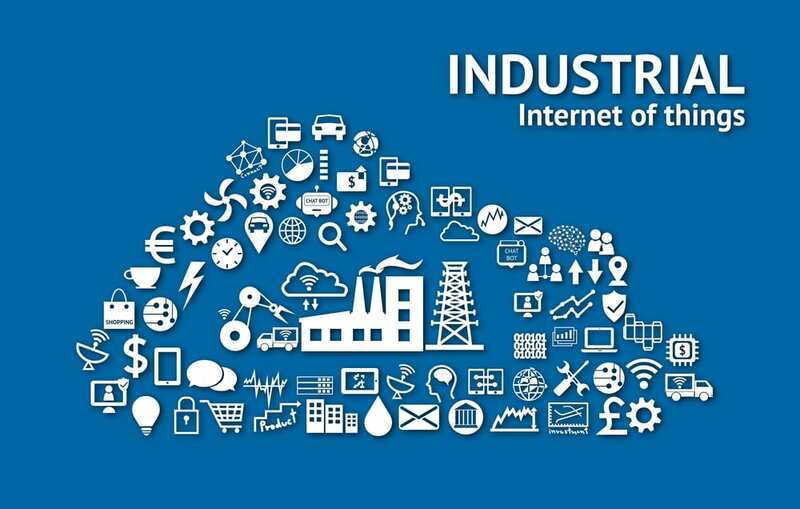 The Industrial Internet of Things is the use of Internet of Things technologies in manufacturing. 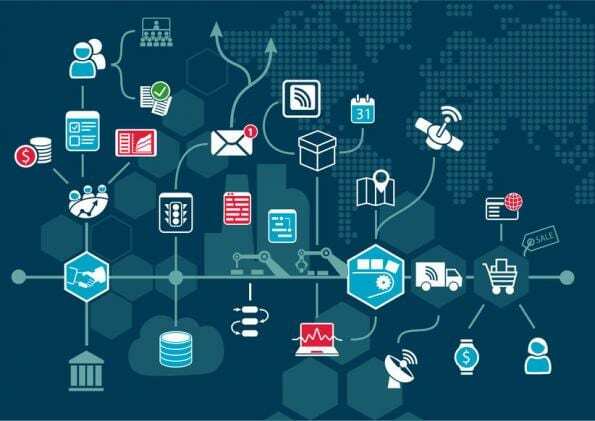 Also known as the Industrial Internet, IIoT incorporates machine learning and big data technology, harnessing the sensor data, machine-to-machine (M2M) communication and automation technologies that have existed in industrial settings for years. The Internet of Things is here and at the doorstep of the manufacturing industries. However, it is still in its infancy. Samsung has joined forces with two highly influential organizations, the OPC Foundation and EdgeX Foundry, to tap into the incredible potential of the application of IoT technologies to manufacturing. We stand on the brink of a technological revolution that will fundamentally alter the way we live, work, and relate to one another. The Fourth Industrial Revolution is the digital revolution that has been occurring since the middle of the last century. It is characterized by a fusion of technologies that is blurring the lines between the physical, digital, and biological spheres. Here Interoperability is a must. This refers to the ability of various systems and devices to exchange and interpret data. Samsung considers interoperability as a significant challenge for a seamless IoT platform, which can transcend the business domains. This will improve the operational efficiency of the company. To overcome this problem, Samsung has partnered with one of the world’s influential current de-facto Industrial IIoT organizations, the OPC Foundation. The OPC Foundation was founded in 1996, as a core Corporate member. OPC is the interoperability standard for the secure and reliable exchange of data in the industrial automation space and in other industries. It is platform independent and ensures the seamless flow of information among devices from multiple vendors. The OPC Foundation is responsible for the development and maintenance of this standard. The OPC Unified Architecture (UA), released in 2008, is a platform-independent service-oriented architecture that integrates all the functionality of the individual OPC Classic specifications into one extensible framework. Samsung will work together with over 500 industry vendors and software developers. This is to take part in creating a series of specifications for the OPC. The aim of this is to accelerate the deployment of an interoperable IIoT edge platform into its manufacturing infrastructure based on the OPC UA framework. EdgeX Foundry is a vendor-neutral open source project. EdgeX is hosted by The Linux Foundation. It is building a common open framework for IoT edge computing. The project is focused on an interoperability framework hosted within a full hardware and OS independent reference software platform to enable an ecosystem of plug-and-play components. This unifies the marketplace and accelerates the deployment of IoT solutions. 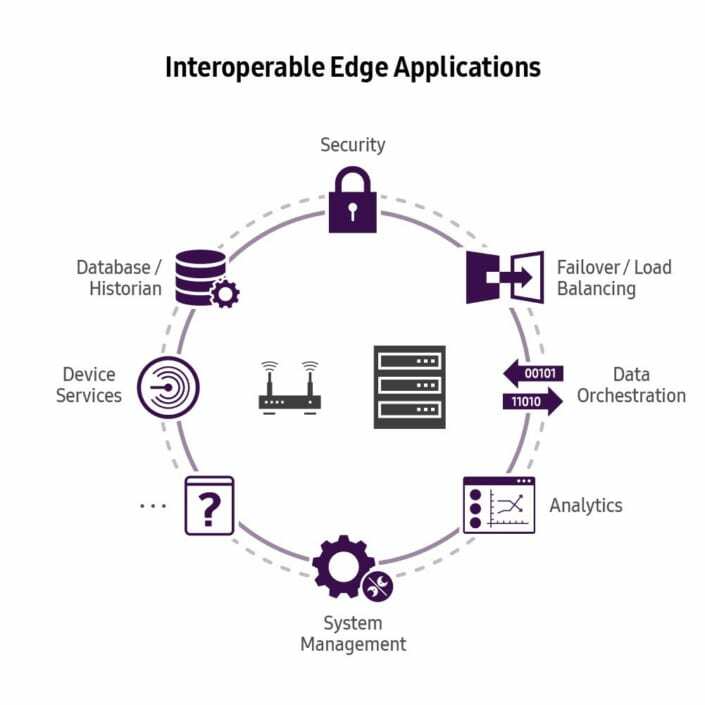 EdgeX is an important enabler for interested parties to freely collaborate on open and interoperable IoT solutions built using existing connectivity standards combined with their own proprietary innovations. Samsung in collaboration with EdgeX will receive a direct benefit in its efforts in the industrial sector. Simultaneously, Samsung will be expanding the market for EdgeX compatible devices. Samsung wants to create a lightweight edge solution which can support real-time operations for factories. For example, manufacturing equipment utilizing sensors and IoT technologies to enable real-time data collection and analysis, as well as capabilities for self-optimization and autonomous decision-making. Along with Smart Manufacturing, Samsung is exploring various other paths in IIoT. For example, Smart Buildings, Smart Lighting, and Smart Energy Management. 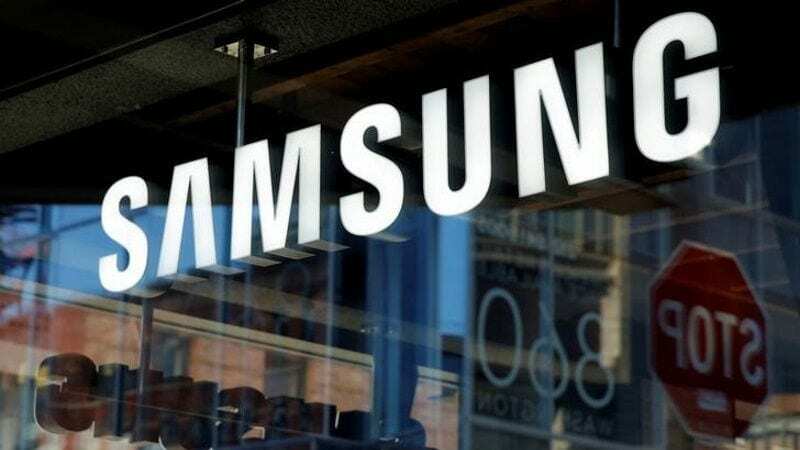 Samsung is moving one step closer to the achievement of true seamless interoperable IoT services across business domains by constructive and close cooperation with different industry partners. When it comes to the power of the IIoT, the sky is the limit. As more and more data is created from increasingly connected machines, systems, and devices, the volume of critical and valuable insights to be realized and acted upon is limitless. I am an Engineer and I closely follow new innovations in various tech. I believe Artificial Intelligence will take over the world. In my spare time I usually tinker with my phone.